To have regard to the calling and responsibilities of the clergy as escribed in the Canons, the Ordinal, the Code of Professional Conduct for the Clergy and other relevant legislation. The Deanery’s strategic vision is developing in line with the Diocese’s Fit for Mission programme. It is envisaged that St George’s Stalybridge as well as the two Mossley parishes of St George and St John will join the current Ashton cluster of the Good Shepherd Team, Christ Church Ashton and St John’s Hurst. 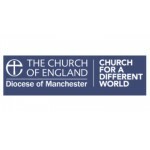 Part of the role of the new Vicar of Stalybridge will be to strengthen the links between St George’s and the Good Shepherd team and to encourage, along with all the other clergy and laity, a greater degree of collaborative ministry in order to maximise the opportunities for mission and make the best use of the resources available. To exercise the cure of souls shared with the bishop in this parish in collaboration with your colleagues. To share in the wider work of the deanery and diocese as appropriate, for the building up of the whole Body of Christ. To have responsibility for St Michael and All Angels' church and its future development as an effective town centre church. To exercise a chaplaincy role in the town centre, along with the present curate, and to share in the civic life of Ashton- under-Lyne to strengthen links with St Michael's. The Deanery Pastoral Plan places the Parish of the Good Shepherd in an Ashton Cluster which, at the time of writing, also includes Christ Church Ashton and St John’s Hurst. As the Deanery’s strategic vision develops, it is envisaged that the parishes of St George’s Stalybridge and the two Mossley parishes of St George and St John will join the cluster. The role of St. Michael’s as the historic Town Centre Church is under review and is expected to develop under the leadership of the Team Vicar. St. Michael’s has accepted that the Eucharist will not take place every Sunday morning and that it is most likely that non-Eucharistic worship will take place on two Sundays a month. It is seeking to establish lay leadership for these services. The Good Shepherd was formed in 2008 and is keeping under regular review its focus on mission and ministry and new ways of working. The Team Curate, who will be in post until the summer of 2020, has been given free-reign to develop new forms of evening worship at St. Michael’s. Ashton is a diverse deanery with a significant and growing Muslim community in the town of Ashton as well as an increasing number of people from Eastern Europe and other parts of the world. There is a wide range of church traditions within the deanery, with one, (St Hilda’s Audenshaw) looking to the Bishop of Beverley for episcopal oversight. There are good relationships amongst the clergy and Chapter is generally well supported. There are 15 parishes in the deanery, including the Good Shepherd Team which is a single parish of five churches. Together, they are served at present by 11.5 FTE stipendiary priests alongside other ordained and authorised lay ministers. The Deanery is one of the four pilot deaneries across the diocese that are seeking to implement the Fit for Mission programme. This involves parishes coming together in mission clusters or units, sharing resources (including lay and ordained ministries) and making better use of the church buildings that are fit for purpose. An external evaluation of the Fit for Mission programme is underway at the moment with a report due early in the new year. This seeks to capture the learning from the pilot deaneries and offer some pointers and recommendations as we seek to make the vision of being Church for a Different World a reality across the diocese.